Tamaki Māori Village, purpose-built to entertain and educate, is a traditional village replica, a place that sends you spiraling backwards in time. Back to a time when we lived, as a matter of course, at one with nature and this beautiful land; lent to us by some benevolent God who must have been in a really good mood. To begin your journey, let's take a look at: what you need to be prepared for, how Tamaki Māori Village came to be, a short version of the experience, my impressions, getting there and finally, my response to the haters. Immersive is the right word to use when describing this experience. From the moment you board the bus, which is how it all begins, until alighting at the finish of your afternoon or evening visit, the world outside of the one currently being explored and experienced is forgotten. Leastways, that was my experience. To give you an idea of why and how this business came about, let's revisit 1989 where a young man, Mike Tamaki, could be found working within the tourism industry. Mike was a tour bus driver which meant, of course, that he interacted with visitors on a daily basis. 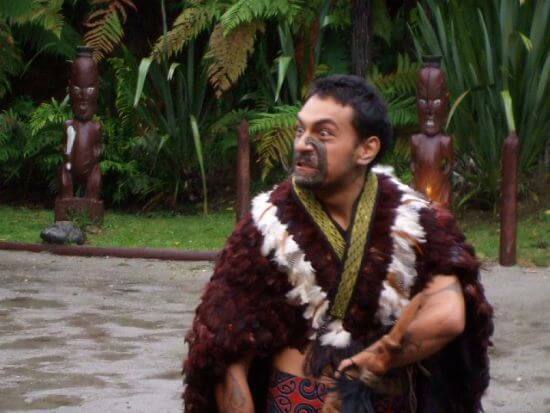 Mike began to see that something was missing from the visitors experience of Māori culture. At that time, what they got was a Las Vegas hotel version. A show in a large, soulless conference room. 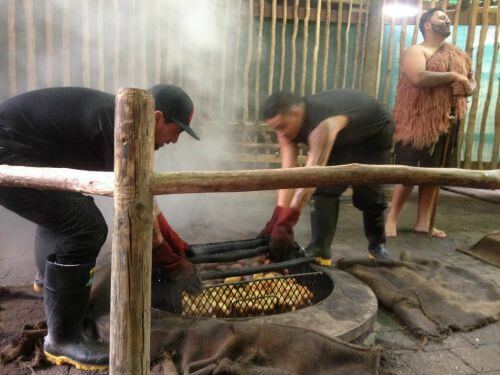 It would feature a Māori group performing action songs followed by a steamed hangi (dinner). Don't get me wrong here. The shows were great for the times, but still, something was missing. From listening and talking to visitors, Mike came up with the idea to take these people back to the land. Back to how we once lived. Little did he know that he was about to turn the tourism industry on its head. Mike talked his brother Doug into selling his precious Harley Davidson motorbike (think, trying to part Gollum from the One Ring - in the Lord of the Rings movies) to fund the start-up of Tamaki Tours, later renamed Tamaki Māori Village when the current site was purchased and the village built from scratch. Despite opposition in various forms over the years, Mike and Doug relentlessly pursued their dream of giving Rotorua visitors an experience that's as REAL as can be (without having to travel back in time). The rest is history. 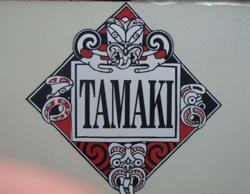 Tamaki Tours was THE FIRST (that's why the favouritism, I've got a thing for trailblazers) business to deliver a cultural experience in this manner. And THE FIRST again, to be owned and operated by Māori. That was a massive achievement. 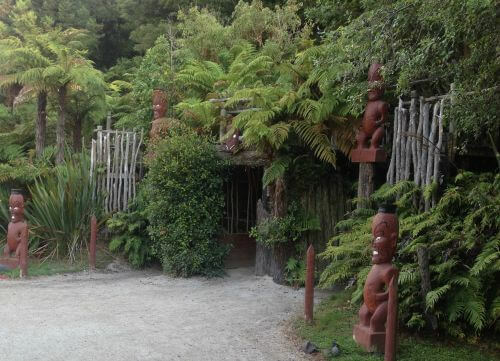 In short, the experience consists of The Waka (Bus Trip) to a Marae (Māori Village). On arrival at the village, a chief is chosen from each bus (there's a few buses). This chief will face the challenge thrown down by someone from the tribe before being allowed to proceed into the village - it's our way of checking out whether your intentions are peaceful or not (don't worry, you'll be shown how to respond). This is followed by an official welcome, then activities and displays such as weaponry, poi and games for example. In addition, there's singing, a haka, waiata (chanting), learning about the history of Māori people via a big screen, watching the food being uplifted from the hangi pit then eating that food (so much of it). Many Māori customs and practices, like the welcome and challenge, still take place on formal occasions. 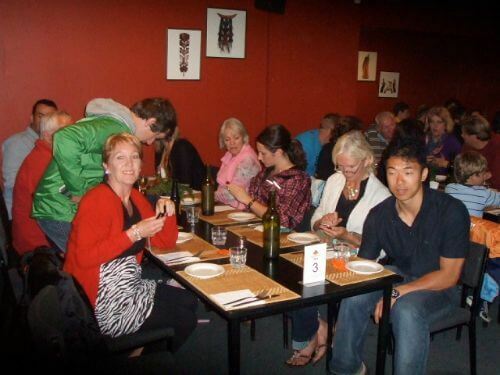 Locals can get blase about Rotorua's attractions so it was fortunate that my friend Fiona and I got the opportunity to take part in a trip out to Tamaki Village. We set out on our mini adventure with no real idea of what to expect. The overall impression? This is one slick operation indicating many years of experimentation to get the experience just right. When I say slick, it's not meant in a bad way. Because much ground is covered in the allotted time, and having to manage large groups of people, the systems and processes have been honed to hum. Not a minute is wasted which makes it great value for the money. Everyone is ushered through the village by staff (hugely professional and personable by the way) who seamlessly manage several roles throughout the afternoon or evening. For example, a charming young man may be part of the challenge party (em, not so charming at that moment, in fact he'll be downright scary), later on he'll be teaching the ancient art of stick games at a display or activity station, and later still he's belting out a song in the cultural performance. Busy, busy. You don't notice the staff moving from role to role. They simply appear. Of course, the grand finale is the Māori hangi. Both Fiona and I could quite happily have sat there in the dining hall and eaten all night. 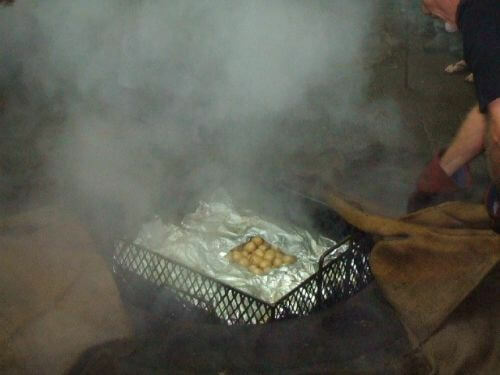 We know what a real hangi should taste like and take it from us, this was the real deal. Well, apart from the desserts, salad and condiments. In pre-european times we wouldn't have had those but it's kind of expected nowadays. Bellies groaning, we boarded our bus for the return trip home. Both of us were quiet and finally I asked Fiona what she thought of the experience. We looked at each other, looked out the window, then back at each other again. Neither of us could put into words how we felt. In hindsight, I think we were stunned. Stunned at how great the experience was, stunned from the sensory overload and possibly stunned by the fact that this extra special experience is to be had in our very own backyard. Now I understand why another friend and her husband, from Australia, had such a great time - this was in spite of it being a crap, miserable evening with high winds and buckets of rain when they went. On getting back to my place afterwards, they were so excited and kept cutting each other off in the telling of everything that had taken place. So cute. It's a given then that all four of us highly recommend this activity, suitable for all ages, to any visitor to Rotorua. Bonus, the kiddies won't be bored. To those with mobility problems, the ground is uneven in the village with some inclines. A strong person shouldn't have a problem pushing a wheelchair through though. Have your camera at the ready - the taking of photos is highly encouraged. If the accomodation is reasonably central, most visitors to the Tamaki Māori Village are picked up by shuttle and taken to Tamaki Headquarters in central Rotorua (see google map). This is where the big buses leave from. On returning the reverse happens. Alternatively, make your own way to Tamaki Headquarters. Another option is drive out to the village yourself. Get onto SH5 heading south and you'll find Tamaki Māori Village on your right about 15-20mins south of the city. You can't please everyone it seems and so, sometimes visitor expectations are not met. Not that many thankfully. The haters say that it's not real, that they're herded along like cattle, that the moko (tattoos) are painted on, that the food is bland, that it isn't the food Māori had way back when, that it's a plastic experience, and on and on. My reply. Well, hello! We have moved on you know. Can't say I'd like to be running around half-naked in a grass skirt and sleeping in a hut any time soon. And we do like our modern conveniences these days - aren't stoves and washing machines the best? By putting this out there, hopefully your decision-making process becomes easier. 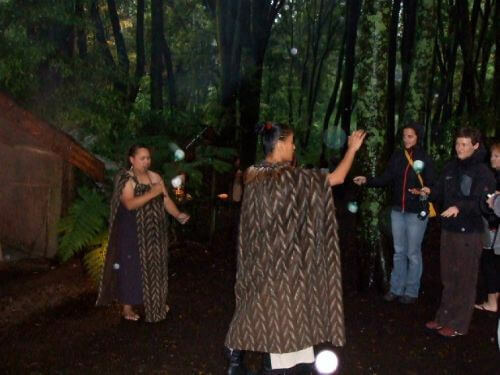 Private tour options, like that given by Wikitoria Māori Healing, would be the way to go if you want a more personal experience of Māori people. 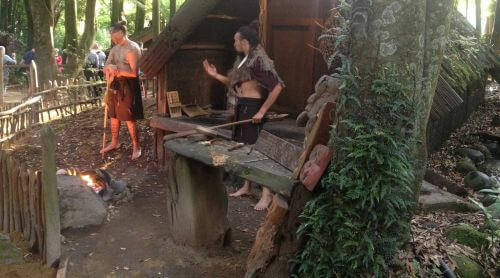 The Tamaki Overnight Marae Stay is another great option but you need about ten people in your group. Considering the frustrations expressed, I've come to the conclusion that either the mindsets are different and/or that the expectations were unrealistic in the first place. The best advice I can give is that each and everyone of us chooses how to feel in any given situation. That's just how it is. If you choose to feel like you're in a herd of cattle, that will be your experience. If you choose to feel like you're with a group of like-minded friends out for a good time then that will be your experience. All you have to do is choose which group you want to be in and be in it. Personally? I always favour the intention of having a good time. 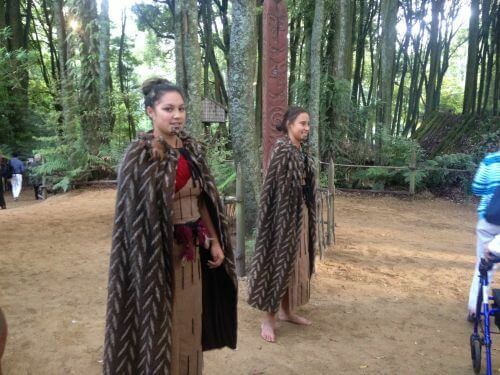 Hundreds of thousands of visitors have been out to Tamaki Māori Village and thoroughly enjoyed themselves - without getting hung up on the fact it's a 'Disney-esque' show, as some have termed it. This tends to overshadow the small proportion of complaints in my view. On that note, when you do go, if you do go, make sure to have yourself a most wonderful time. If my experience is anything to go by, I'm sure you will.